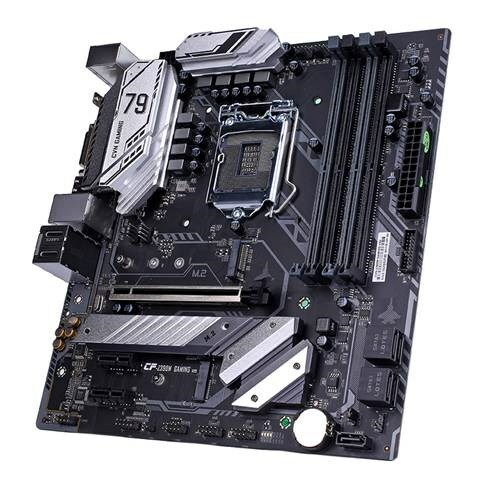 New in Colorful's motherboard portfolio is the CVN-Z390M GAMING V20, a board that uses the Micro-ATX form factor. It's aimed at 8th and 9th Gen Intel Core CPUs, has five SATA 6Gbps ports, three M.2 slots, and one PCIe x16 slot. Pricing is unknown. The new COLORFUL CVN Z390M GAMING V20 will feature support for both 8th-gen and 9th-gen Intel processors in the LGA1151 package. This allows users to upgrade from Intel’s 8th-generation processor to the 9th-gen CPU that increases core count to give you a performance upgrade. The motherboard also supports DDR4 memory higher bandwidth so applications can run as fast as possible. The motherboard also supports overclocking on unlocked processors for increased performance.